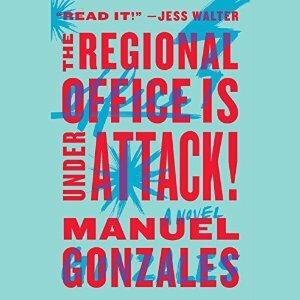 Audiobook Release Day – The Regional Office is Under Attack! Releasing today on Audiobook – The Regional Office is Under Attack! I had so much fun playing Rose, a young assassin leading the attack, in this super cool multi-voiced project – The Regional Office is Under Attack! by ​Manuel Gonzales for Penguin Random House. To listen to a sample, simply click on the link: The Regional Office is Under Attack! Now available on Audible.com and Amazon. This entry was posted in Audio Books, Narration, News, Press, Voice and tagged Manuel Gonzales; Penguin Random House; Science Fiction; Susan Hanfield; Audiobook. Bookmark the permalink.